NEW YORK (WABC) -- The first female MTA elevator escalator mechanic has died giving birth to her twin daughters. The Transit Workers Union says, "43-year-old Julia Roman was a pioneering female Elevator Escalator mechanic who came up through the ranks after being trained in a program to bring women into non-traditional jobs. TWU Local 100's apprenticeship program is doing the same thing, bringing even more women into MOW. We again urge our members to contribute to the family's GoFundMe site, and to attend our sister's services." 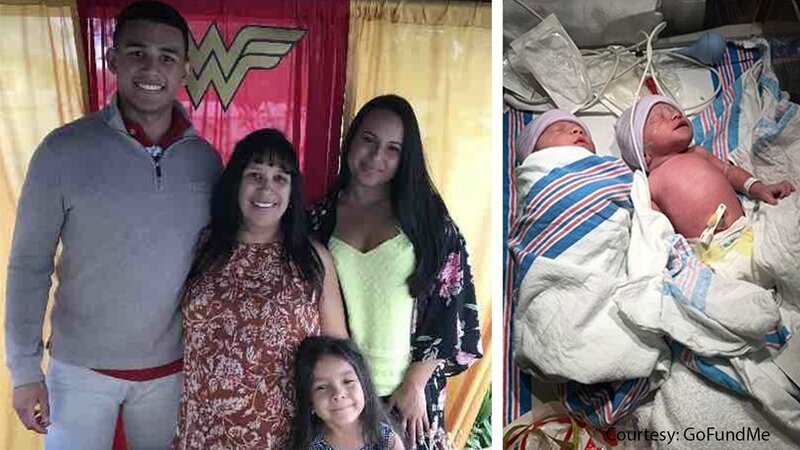 Roman passed away while delivering twins, Isabella and Grace, last Thursday. She suffered an amniotic-fluid embolism. She leaves behind her husband, two adult children, 5-year-old daughter, and her twin baby girls. The family's GoFundMe page will be used to allow family members the time off work to stay with the infant twins.